In my previous post, I gave you my top picks for Valentine’s Day gifts ‘For Her’ (HERE). Now I turn my attention to ‘Him’! 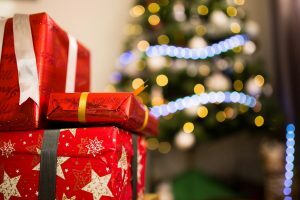 Whether the man in your life is tricky to buy gifts for or not, I hope my top six picks for men will give you some inspiration. Thankfully, when it comes to buying gifts for Mr. T, I know him pretty well and I know what he likes. In fact, I’d say we’re both very good at choosing gifts for each other, if I ignore the fact he bought me a kneeling cushion very early on in our marriage, thinking I might be interested in gardening….NOPE! Anyway, I digress! Feast your eyes on my selection of Valentine’s gifts for the man in your life, (or woman, because I’d like some of these for myself!). 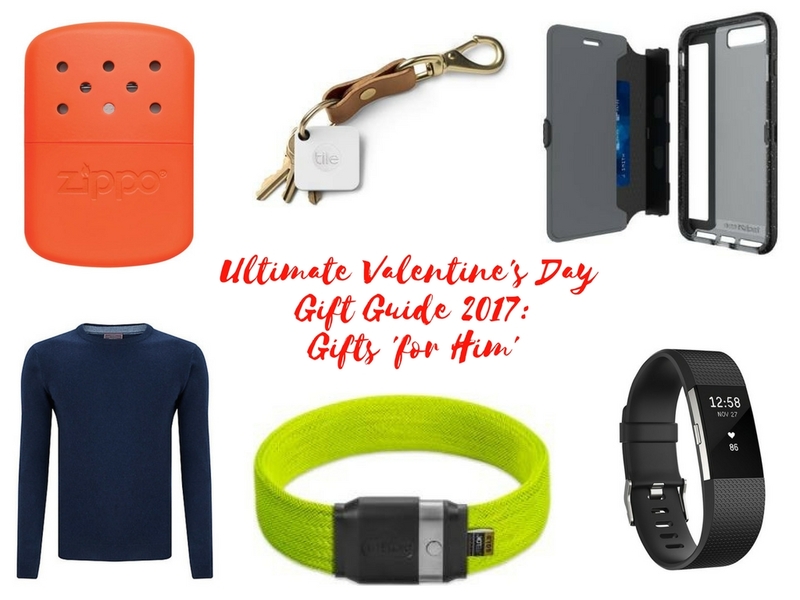 My top 6 Valentine’s Day gifts ‘for Him’. 1. tech21 Evo Wallet Active Edition Case for iPhone 7 & 7 plus, Black, £49.95, tech21.com. tech21 Evo Wallet Active Edition Case for iPhone 7 and 7 Plus, Black or Pink options, £49.95. Tech21 have earned a great reputation for making innovative and stylish protective cases for smartphones, laptops and tablets. 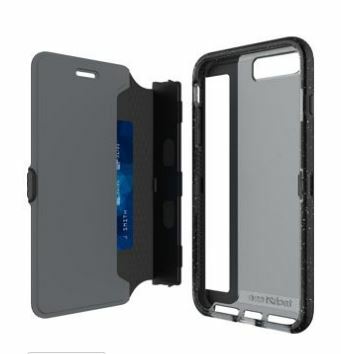 In fact, after my cheap ‘it’ll do’ iPhone case failed to protect the screen on my current iPhone 5, the Apple store recommended one of tech21’s cases, the Evo Tactical case. I have to say, I love it. It’s such a high-quality case and you can tell it’s been designed and engineered to protect my phone, should I drop it on my tiled kitchen floor again. The Evo Wallet Active Edition Case is one of tech21’s newest cases and is available in black or pink for the iPhone 7 and 7 plus. This ultra-thin and lightweight wallet case offers 3m/9.9ft drop protection for active lifestyles. This innovative case, with its 3D woven fabric, gives you secure, expandable storage for your earphones, cards or keys. A microfibre lining protects your screen when your case is closed. Plus, when you don’t need the storage space, the cover comes with quick release tabs, so you can easily remove it. 2. 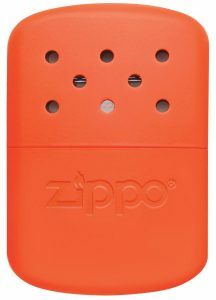 Zippo Large Orange Hand Warmer, £22.90, Zippo.co.uk. If you thought Zippo only made cigarette lighters, think again! This iconic American brand has added some fantastic accessories to its range, including a stylish candle lighter (see Valentine’s Day gifts ‘for Her’: HERE) and funky Zippo hand warmers, which are available in two sizes (small and large) and a range of great colours. Many of us have seen (or may even own) the simple, ‘boil in the bag’ style hand warmers. However, Zippo hand warmers are made of much stronger stuff. With their rugged good looks, they’re the Bear Grylls of the hand warmer world, ready for adventure! Like Zippo lighters, these little pocket-sized furnaces use lighter fluid and provide up to 12 hours of gentle, consistent heat. They’re sturdy and refillable so you can use them on your outdoor adventures for years to come. A warming bag and filler cup are included. 3. John Lewis Made In Italy Cashmere Crew Neck Jumper, Navy, £85. 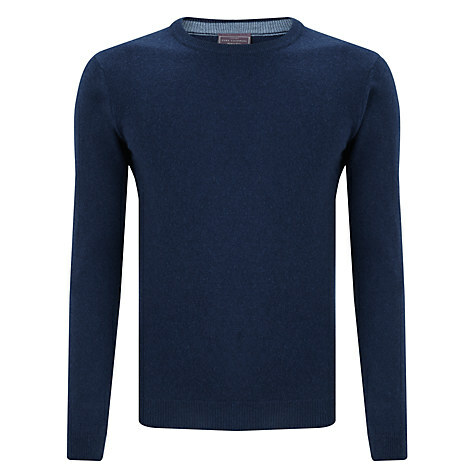 John Lewis Made in Italy Cashmere Crew Neck Jumper, Blue, £85. 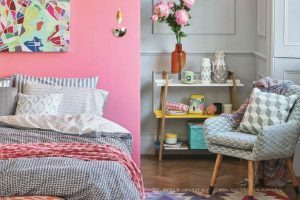 I just had to put John Lewis’s Italian cashmere jumpers on this list! They’re amazing! Mr T has three of them…Or at least he had three of them until I put one through a 60-degree wash cycle after failing to spot it in the laundry pile! Now it’s one of the more expensive items in youngest’s Build-a-bear clothing collection. Mr T loves his John Lewis cashmere jumpers because they’re such a soft, fine knit but are still incredibly warm. Mr T wears them a lot during the cold winter months, but they still look great. John Lewis Made in Italy Cashmere jumpers are available in a wide range of colours in a crew neck or v-neck style. 4. Tile Mate Bluetooth Tracker, £23, from Tile. 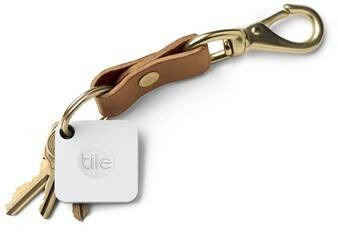 Tile Mate Bluetooth Tracker, £23, Tile. Men love gadgets, so they’ll love this! Especially if they’re anything like Mr T, who loses his wallet and keys somewhere in our house at least once a week! Tile Mate is a discreet bluetooth tracker that can be attached to anything – luggage, wallets, purses, backpacks, clothing – and shares the location of things via a smartphone or tablet using the Tile App. Users can ring their things with one of Tile Mate’s four pre-set ringtones, or use it in reverse to find their phone—even if it’s on silent. They can also see the last place they had their item on a map, and if the item has been moved, use the Tile community to help them find it again. Tile Mate’s launch follows the global success of Tile Slim, which is as thin as two credit cards and is perfect for slipping into wallets, purses, laptops and anything with a slim profile. Tile Mate retails at £23 from Tile, Amazon, John Lewis, Argos, Curry’s PC World, Carphone Warehouse & Maplin. 4-packs are available for £65 from the Tile website. 5. 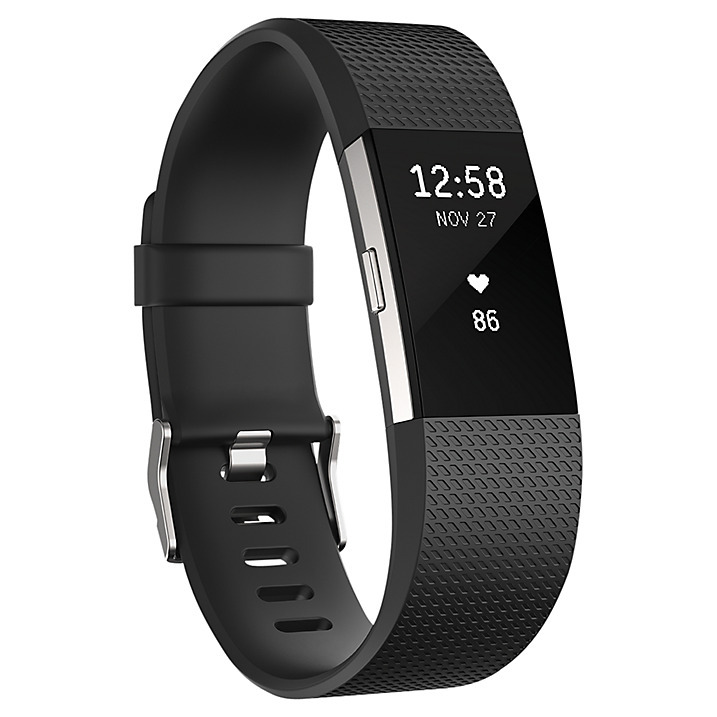 Fitbit Charge 2 Heart Rate and Fitness Tracking Wristband, Large, Black / Silver, £119.99, John Lewis. Fitbit Charge 2 Heart Rate and Fitness Tracking Wristband, Large, Black / Silver, £119.99, John Lewis. 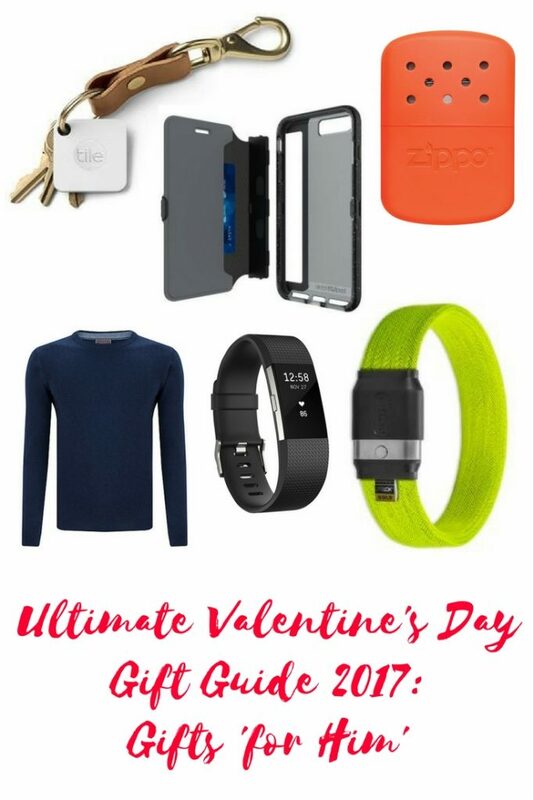 Why not show the man you love you care about his health and wellbeing by giving him a Fitbit Charge 2 heart rate and fitness tracking wristband for Valentine’s Day?! The Fitbit revolution is sweeping the planet and even I’ve succumbed to the newest Fitbit on the block, the Charge 2. However, just like my mobile phone, I still haven’t worked out all of its functions yet so I’m mostly wearing it as a stylish fashion accessory! I love my blue Fitbit Charge 2, though, and can’t wait to make the most of all of its features, which include: Heart Rate monitor; All-Day Activity Tracking (track steps, distance, calories burned, floors climbed, active minutes and hourly activity); Auto Sleep Tracking; Auto Exercise Recognition (running, biking and more); Connected GPS tracking. The Fitbit Charge 2 has an RRP of £129.99 (although I bought mine from John Lewis for £119.99) and is available in small and large sizes with numerous colour options, including: black, blue, plum and teal. For more information about the Charge 2 and the rest of the Fitbit range, visit Fitbit.com. 6. Litelok lightweight flexible bike lock, £85, from Litelok.com. If you’re looking for the perfect gift for the commuting cyclist, look no further than the award-winning Litelok . 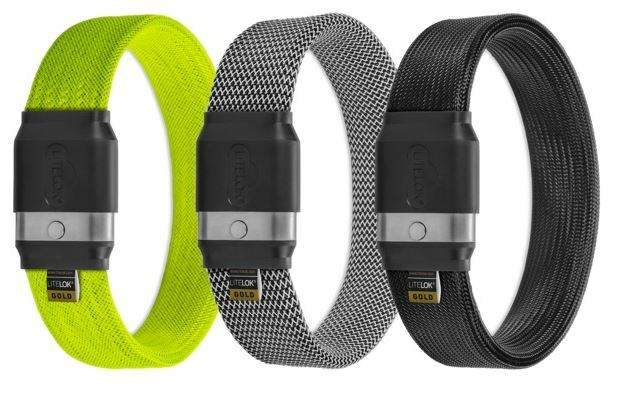 This innovative, flexible bicycle lock, designed in Britain, is the world’s lightest bike lock to achieve the highest Sold Secure Gold security rating. The Litelok comes in three stylish colour waves, Herringbone, Crow Black and Boa green and costs £85 from Litelok.com. Personally, I think that’s a small price to pay for peace of mind. Mr T, a keen cyclist, is seriously impressed by the LiteLok. Initially, he was concerned it might be a case of ‘style over substance’. However, the LiteLok’s funky looks and lightweight design aren’t at the expense of practicality and security. What’s more, the Litelok is easy to use and much lighter than his D and U-locks. Another thing Mr T likes about the LiteLok, is the option hang it from his seat post or attach the uncoiled lock to his crossbar using the straps provided, instead of faffing with a rucksack or panniers. As with my Valentine’s Day Gifts ‘for Her’, I hope my gift ideas for the man in your life have given you some inspiration. Are you celebrating Valentine’s Day this year? If so, do you prefer to share an experience together, such as a meal or weekend away, or do you prefer to buy gifts? As always, I’d love to hear from you. My Valentine’s Day gift list ‘For him’, is one of the many Valentine’s Day posts featured on Kate Young Design’s Valentine’s Day Alternative Gift Guide & Linky Party: HERE. When it comes to giving gifts, I have to agree its the thought that counts. 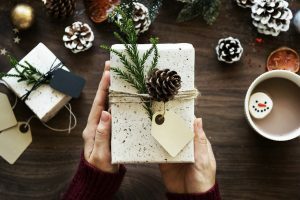 Inspired by the John Lewis #Makeitthoughtful campaign, I've compiled a Christmas gift list with thoughtful ideas for each gift to make them extra special. It’s very cool. You need to light it after filling it though and not leave it around with fuel in without lighting…Unless upright. Worth bearing in mind but it’s such a lovely colour and shape – masculine…Better than him carrying round one that looks like a breast implant !! Is it weird that I like the gifts on your mans list more than the womans list?! I’m the same!!!!!! I love gadgets and cool stuff! Ha, I know what you mean!!! I always get blamed for moving wallet/keys/everything! !